Hardik didn't have a great outing in the match. The Match 24 of IPL 2019 between the Mumbai Indians and the Kings XI Punjab was a humdinger. The winner wasn’t decided until the final ball of the game was bowled. While it was the home team that won the match, an interesting incident took place between Hardik Pandya and Hardus Viljoen before that. Hardik Pandya walked into the middle at the fall of the wicket of Ishan Kishan. Right from the start, the all-rounder showed great intent and tried to attack the bowlers. After he walked in, Kieron Pollard also broke loose and the duo built up a quickfire partnership. They added 41 runs in only 19 balls which were crucial at that position in the match. What happened when Hardik met Hardus? 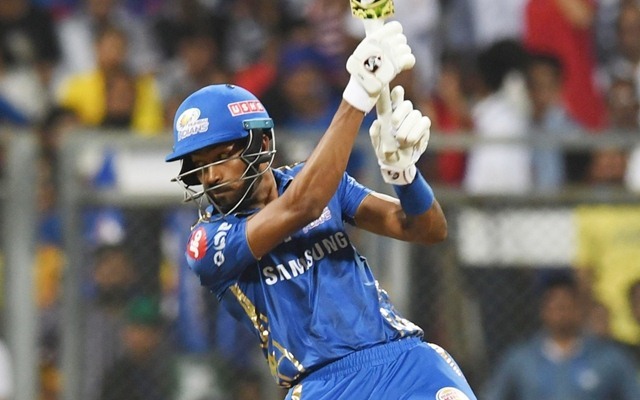 The younger Pandya scored 19 runs off 13 balls during his knock and also smashed two boundaries. Right after he walked in to bat first, he had a go at the South African pacer Hardus Viljoen. Viljoen was walking towards the umpire as he was supposed to bowl the next over of the match. The 25-year-old, though, came in his way and tried to stop him. The duo came face to face and Hardus even had something to say to Hardik Pandya. He smiled initially and then said something as he walked away. It seemed to be quite a fun banter where the two must have taken a sly dig at each other. Hardik Pandya got out three overs later to Mohammed Shami. He tried to clear the ropes straight down the ground but ended up mistiming it. David Miller, who was fielding at long-on, pouched a comfortable catch to send the batsman back to the pavilion. Kieron Pollard was brilliant in this game and scored 83 runs off 31 balls to help his team finish the match.